Invitation to all Gorgeous Geeks. 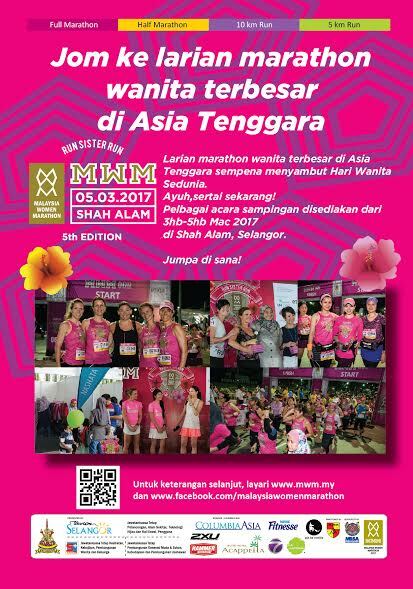 The Malaysian Women Marathon is here once again – 5th March 2017! While everyone has been busy with work, coding classes, online sales or simply being a woman… you must take care of your health as well! What better way to do that than to sign up for a run with other like-minded women or with your family. 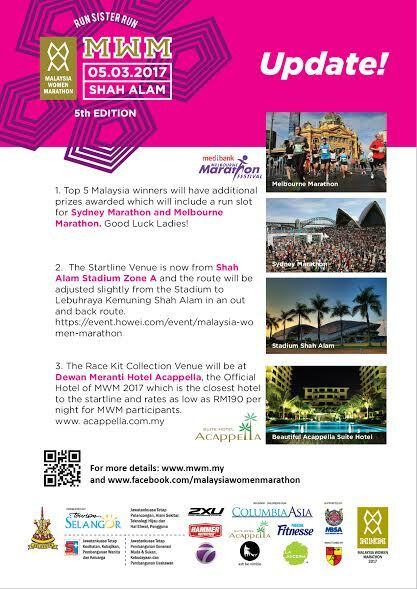 There is a category for everyone, from the athletic ones who want to go for a marathon to those who just want to take their first steps with a 6km Fun Run. There is even a category for children! Eliza is a woman-in-tech and a woman-in-fitness. Her area of specialization is internet-based businesses and over the years she has built, fund and grow businesses into profitability, build products, market and serve t housands of customers across the globe using the power of internet. She is the founder of Nashata Lifestyle Sdn. Bhd. (nashata.com), a lifestyle business that empowers modest women to have active lifestyles through its products and services. Nashata was founded in 2013 in Malaysia where it designs, produces and sells modest sportswear at nashata.com and partners worldwide. It has been self-funding, profitable and growing organically since its inception. Prior to that, she served as the Vice President and director at Teak Capital Sdn. Bhd. (teakcapital.com.my).Teak Capital is a venture capital firm focusing on ICT and technology type of investment. The companies under her investment portfolio were Youth Asia that operated Groupon Malaysia and Youthsays, an online book platform called e-sentral and Jomsocial (on personal capacity). 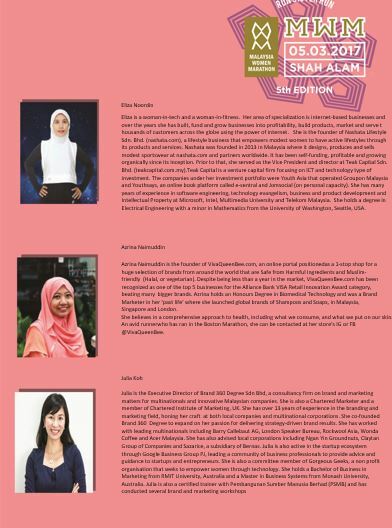 She has many years of experience in software engineering, technology evangelism, business and product development and Intellectual Property at Microsoft, Intel, Multimedia University and Telekom Malaysia. She holds a degree in Electrical Engineering with a minor in Mathematics from the University of Washington, Seattle, USA. Azrina Naimuddin is the founder of VivaQueenBee.com, an online portal positionedas a 1-stop shop for a huge selection of brands from around the world that are Safe from Harmful Ingredients and Muslim-friendly (Halal, or vegetarian). Despite being less than a year in the market, VivaQueenBee.com has been recognized as one of the top 5 businesses for the Alliance Bank VISA Retail Innovation Award category, beating many bigger brands. Azrina holds an Honours Degree in Biomedical Technology and was a Brand Marketer in her ‘past life’ where she launched global brands of Shampoos and Soaps, in Malaysia, Singapore and London.She believes in a comprehensive approach to health, including what we consume, and what we put on our skin. An avid runnerwho has ran in the Boston Marathon, she can be contacted at her store’s IG or FB @VivaQueenBee. Julia is the Executive Director of Brand 360 Degree Sdn Bhd, a consultancy firm on brand and marketing matters for multinationals and innovative Malaysian companies. She is also a Chartered Marketer and a member of Chartered Institute of Marketing, UK. She has over 13 years of experience in the branding and marketing field, honing her craft at both local companies and multinational corporations. She co-founded Brand 360 Degree to expand on her passion for delivering strategy-driven brand results. She has worked with leading multinationals including Barry Callebaut AG, London Speaker Bureau, Rockwool Asia, Wonda Coffee and Acer Malaysia. She has also advised local corporations including Ngan Yin Groundnuts, Claytan Group of Companies and Sazarice, a subsidiary of Bernas. Julia is also active in the startup ecosystem through Google Business Group PJ, leading a community of business professionals to provide advice and guidance to startups and entrepreneurs. She is also a committee member of Gorgeous Geeks, a non profit organisation that seeks to empower women through technology. She holds a Bachelor of Business in Marketing from RMIT University, Australia and a Master in Business Systems from Monash University, Australia. 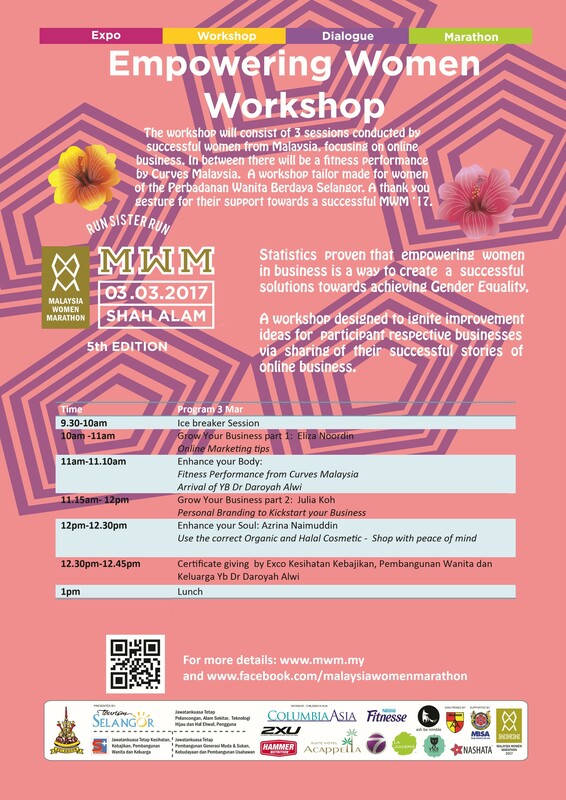 Julia is also a certified trainer with Pembangunan Sumber Manusia Berhad (PSMB) and has conducted several brand and marketing workshops. Being a Gorgeous Geek also means keeping a healthy regime of exercise. So hurry sisters, it’s closing soon! You can also visit the MWM Facebook page to see more videos and find out more details. To register, please visit the official website.